Well this is what I achieved last night. I should have gone to bed early, but you know what it's like when you get into something and you don't want to stop. That was me, just wouldn't give in until I had finished what I was doing. 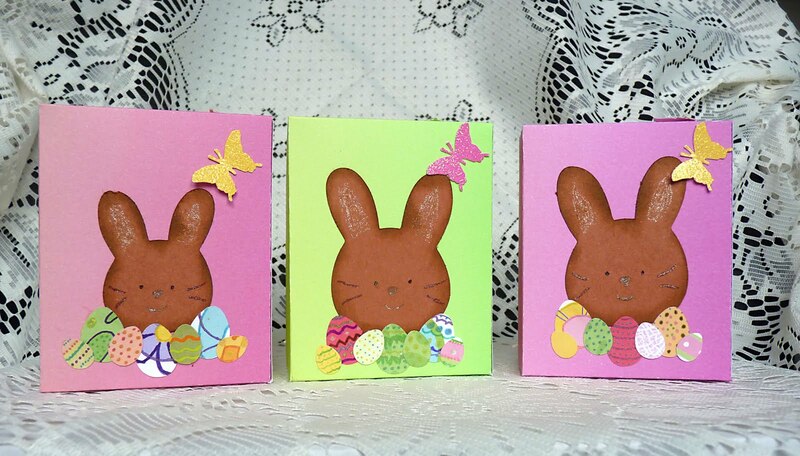 I had great fun cutting out a template and making three almost identical boxes for the girls' Easter Egg hunt on Sunday. The template was the free download from 'Just us Girls' that I mentioned yesterday and it so easy to use. Lauren Meader from 'My Time Made Easy LLC' is sponsoring this week's challenge and there are some beautiful DT creations to see. I'd had a trial run making the box and of course made a mistake, but then I always told my kids you learn from your mistakes as well as your successes, and I did. I set about gathering the papers (many of them from my scrap box) for the three differnt colour schemes and decided they would all be the same design, but the colours would make them different. Becca is nearly 13 so I wanted hers to be rather funky. Ella is four in the summer and she goes to ballet, she is a pink girl. Maddison is 20 months and seems to be a bit less girly but still loves to dress up and to dance. So colours chosen (mostly pink and green but some yellow as well) I got out the Nesties scalloped circle and cut out two for the front of each box. 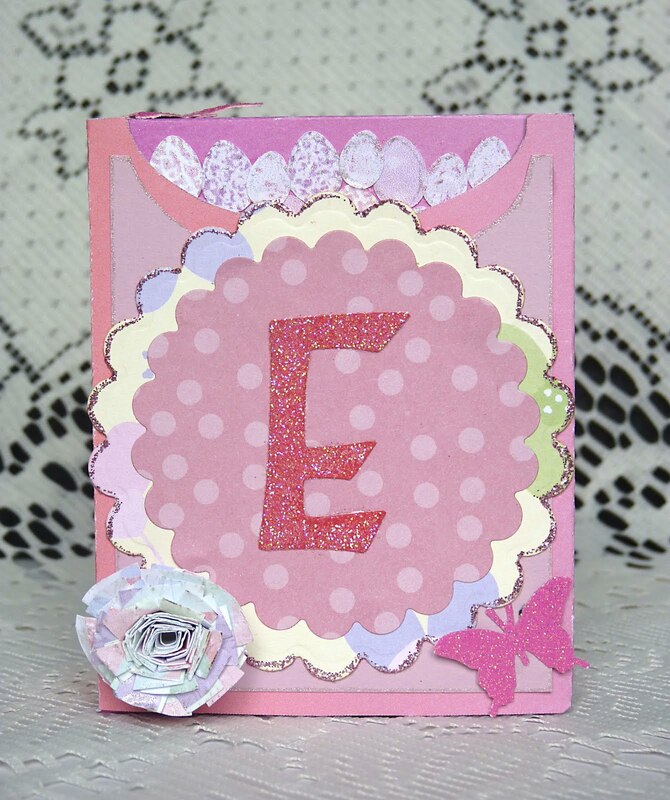 I cut out the letters of their name on the Cricut and then covered each one with Versamark and sticky stuff putting glitter on them whilst they were still hot to get the glittery effects. All the girls love a bit of bling!! 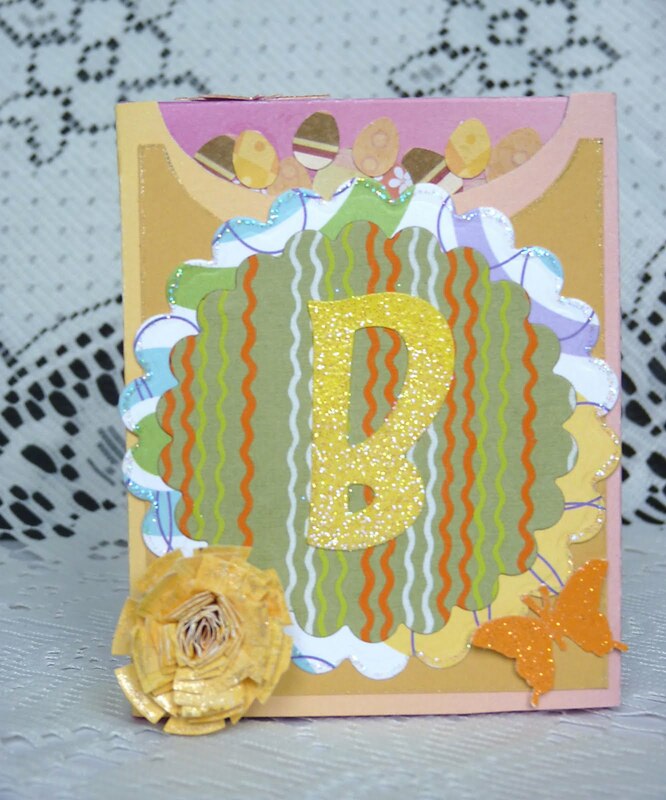 I made the butterflies with my MS butterfly punch and used glitter card. To make the flowers I cut out 31/2 inch circles on the Cricut and cut into them to make a spiral. I went round the outside edge making cuts about half way into the paper and then rolled them, using sticky dots at the end to keep them together. 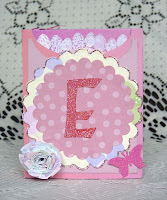 I then peeled the 'petals' back and used a Sakura glitter pen to give them some sparkle too. 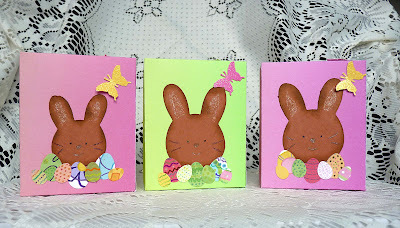 Next I cut lots of different sized tiny eggs to stick on the flap, using the Doodlecharms cartridge on the Cricut, and cut slightly larger ones to decorate the back. I also cut three rabbits for the back. The rabbits have been edged with brushed corduroy DI and the features added wth glitter pens. I think the girls will love them to put their small choccies in on Sunday - lets hope it's a fine day for them. Well my cold seems to be drying out a little so I hope it won't be too long before it's gone. Keep well yourselves and thanks for stopping by. Super cute work - love them. Very cute. Nice bright, spring colors. Thanks for playing along with us at The Shabby Tea Room! What a great little project. Thanks for playing along with us at The Shabby Tea Room. Well how stinkin cute are these? THe kids will LOVE them - they are truly adorable. Thanks for playing along with Just Us Girls this week. We appreciate it. These are so cute! 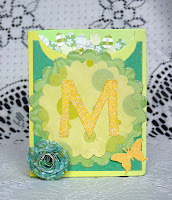 Thanks for joining us this week with our color challenge over at TPE! All of these little treat boxes are darling! I like the bright, bold colors you used & BIG scallops! 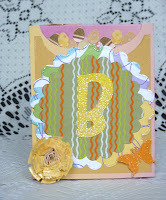 Thanks so much for playing along with the Just Us Girls template challenge! Gorgeous boxes Brenda, thanks for joining us at C.R.A.F.T and good luck. 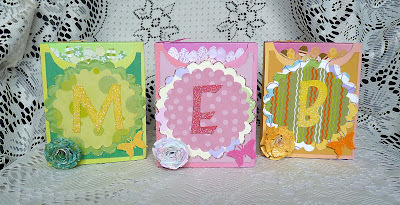 A bit late at responding to last week's entry to our Easter challenge at CRAFT Challenge, but still wanted to say thank you for joining us. What a great set of boxes and colours, love the image too. AWE! These are really cute. Thanks for joining us at Fussy and Fancy this week! 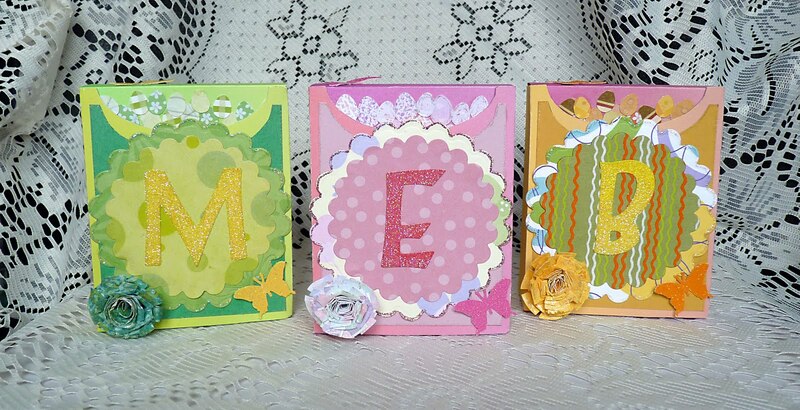 Gorgeous Easter boxes! Thank you for joining us at Fussy and Fancy Friday!